EA and DICE have shown off more footage of the upcoming Star Wars Battlefront with this gameplay trailer at Paris Game Week. If you’re still feeling a little nostalgic about the Star Wars Battlefront beta, and have been spending your time making pew pew laser noises at the cat/ siblings/ frightened old people just to get through the day, then this trailer ought to settle you down a bit. Or get you hella pumped. Shown at Sony’s Paris Game Week, this new gameplay trailer shows off the full compliment of announced heroes, including Han Solo, Princess Leia and the Emperor himself. We also get an extended look at a multitude of new races, and more action on Endor and Tatooine, two of the game’s maps. 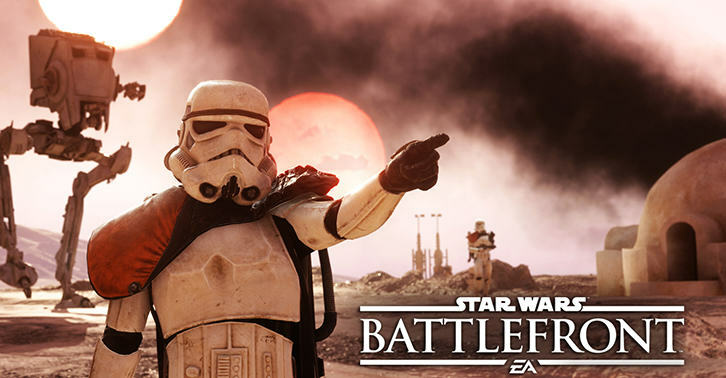 Star Wars Battlefront is out on November 17 for PC, Playstation 4 and Xbox One.